2015 was the 150th anniversary of the construction of the original church of St Stephen, at 383 High Street Road, Mount Waverley. It is believed to be the oldest building still in use in the area and the oldest continuing church in the City of Waverley/Monash. 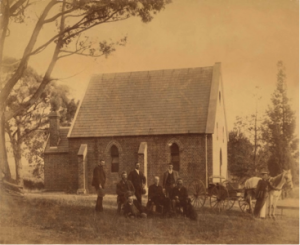 The Church of St Stephen was built in 1865 at a cost of 330 pounds and was designed by well-known architect and St Stephen’s Parish Treasurer, Nathaniel Billing, who also designed All Saints, East St Kilda and various other buildings around Victoria. 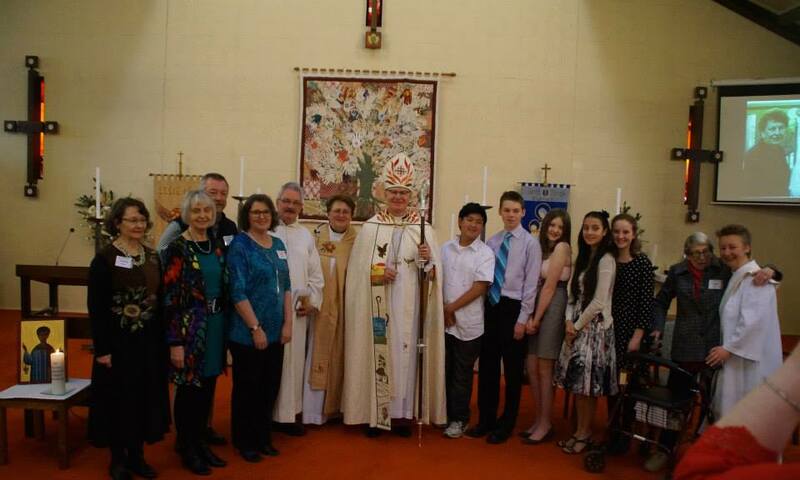 The parish enjoyed a wonderful year of celebrations marking 150 years of Christian worship and mission with a year of events. When the church of St Stephen was built in 1865, most parishioners walked to church across the fields, whilst the lucky ones rode on horse back or by horse and cart – as shown top right. 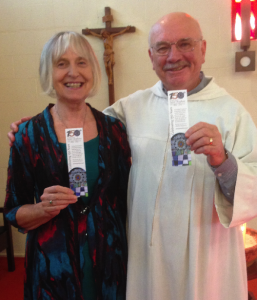 In January we celebrated the launch of the 150th Anniversary year with the lighting of the anniversary candle and reciting the sesqui-centenary prayer written for the occasion by parishioner Michael Mosley (pictured with Jenny, both holding an anniversary bookmark). Marking ANZAC Day in April, a moving service was held to mark centenary of ANZAC and remembering all those parishioners, past and present, who served this country. We heard from three parishioners who had served our country – John Hobbs in World War II, Michael Mosley in the Vietnam War, and Rev’d Kate Lord who served in the navy more recently. We sadly lost John Hobbs only a few months after this day. We welcomed many other ex-service men and women from the area to this very special service. 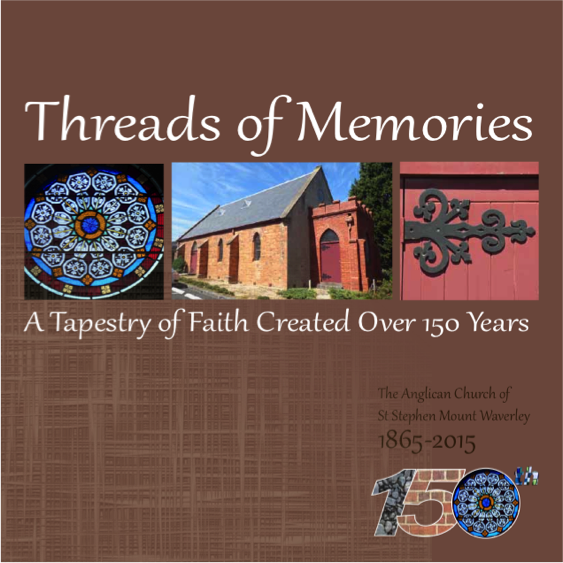 On the same day, our book ‘Threads of Memories’, was launched by Archbishop Philip. This is a brief history of the parish, with plenty of photos from right through the 150 years. 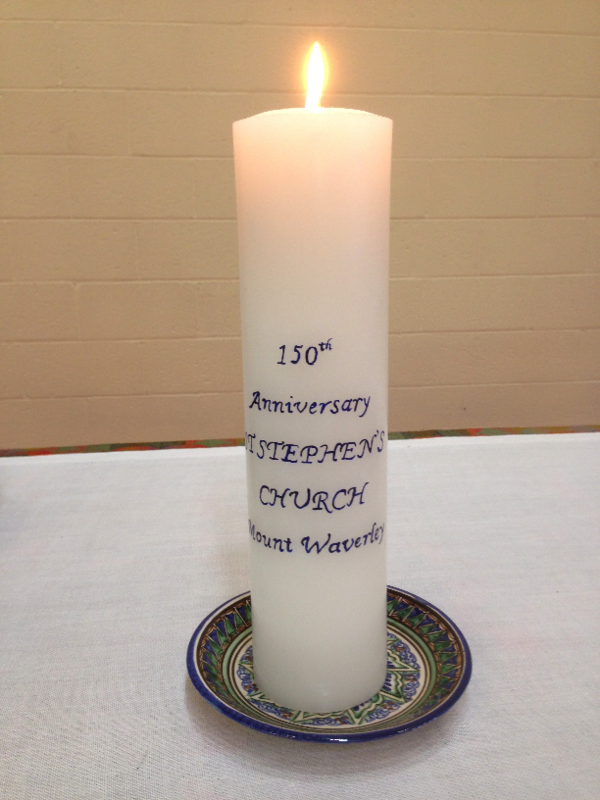 During July, the Mount Waverley Library held a display about the 150th Anniversary and we were delighted to have a number of local residents come and visit the church as a result. In October, we held an Old Fashioned Fete, which, thanks to the hard work of many people, (and to the weather for its cooperation) was a fabulous affair, with lots of people coming along and taking advantage of the stalls, food, live music and activities.